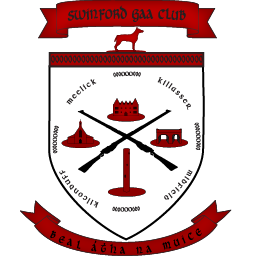 Swinford enjoyed a very good win this afternoon against Bohola Moy Davitts by 1-14 to 1-10 to maintain a strong challenge in Division 1E. It was a game we led from start to finish and shoul have had more to spare at the end. A number of chances were wasted and the last score of the game with the last kick of the game was a penalty for the visitors. Our defence was well on top and our forwards played very well with all our scores bar one point coming from play. Next game is Championship at home to Balla next weekend and next league game is an away trip in a few weeks to league toppers Ballina.